It’s chill o’clock! 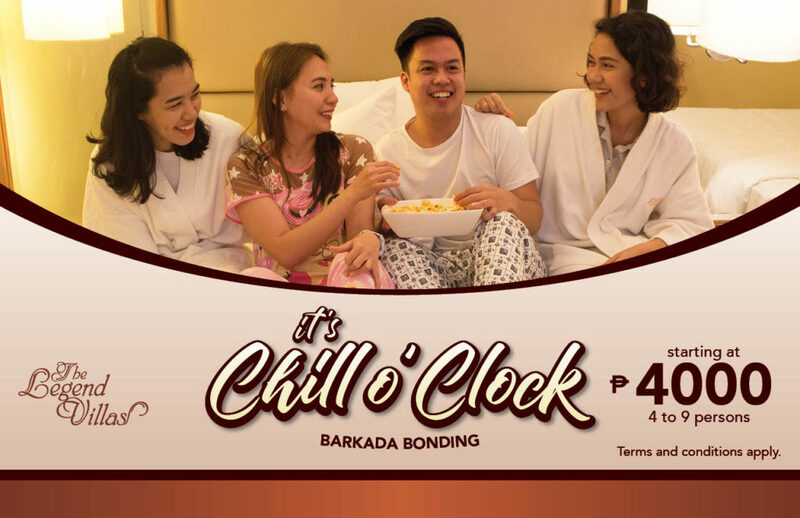 Avail of our barkada staycation package for as low as Php4,000 per night. Rate includes in-room cocktail tower/s, pika-pika snacks, and more! – An extra bed will be provided for the 5th, 7th, or 9th person.